Extra soft bristles to support effective and gentle cleaning. Small head for child's little mouth. Non slip handle to help fit your hand and child's hand when ready. Dentist and Hygienists recommend replacing your toothbrush every 3 months. 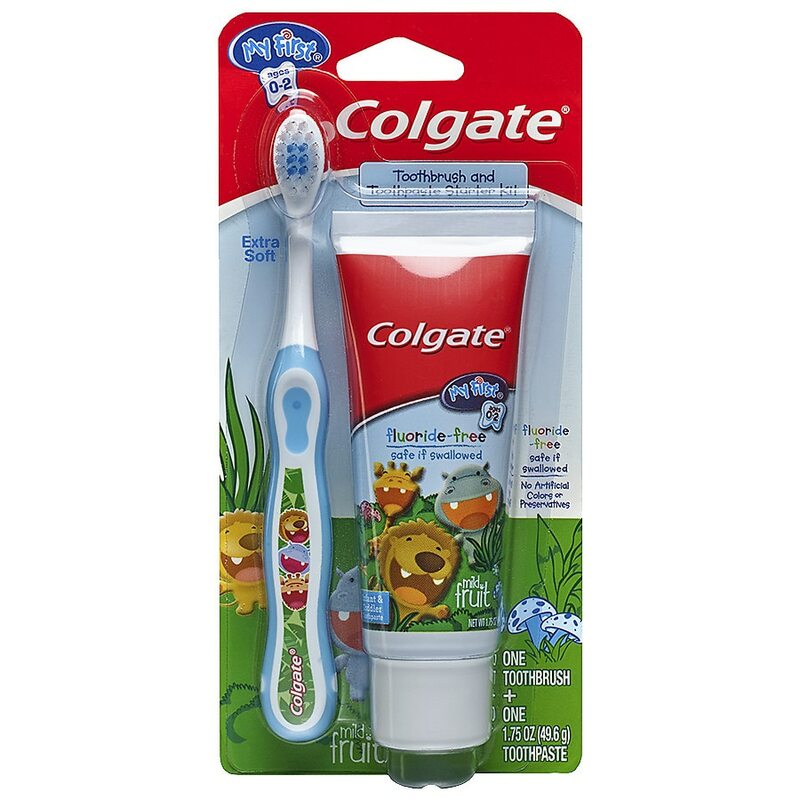 Squeeze a pea sized amount of toothpaste onto bristles of an extra soft toddler's toothbrush, for example My First Colgate™ Toothbrush. Use a small circular brushing motion to help remove food and plaque. Children under 4 years of age should not use without adult supervision. Do not chew. For toothbrushing only. Toothpaste: Helps remove plaque with brushing for cleaner teeth.